1. 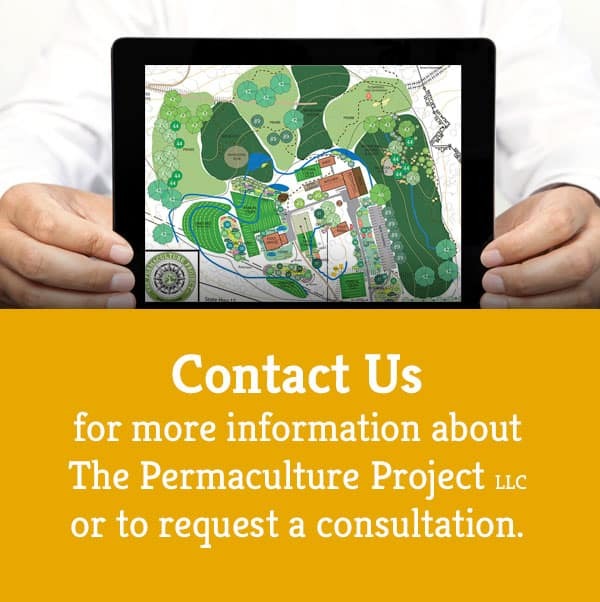 Expectations: Why practice Permaculture? There is a great variety of natural laws and principles and, as designers, we use these as active tools, literally directives to act, whereas those who discovered them did so as a result of a passive process of observation. The greatest difficulty we have as designers is in the intelligent local application of cosmic passive principles. An axiom is either an established principle or a self-evident truth (sunrise in the east, sunset is in the west). A principle is a basic truth, a rule of conduct, a law determining how something works. A law is a statement of fact about the behavior of natural phenomena; it is supported by a set of hypotheses that have proved to be supportable or “correct”. A thesis is an idea that is offered up for proof or discussion. A hypothesis is a statement that is testable by experiment; it is objective, testable and a priori before the test. Many statements made by people are somewhat confused mixtures of the foregoing. A rule is a discovered relationship, e.g. “as a rule” water flows at right angle to contour. A directive is a way to proceed. It is an applied principle, and has an active component. By examining several sets of rules, laws and principles we can establish a set of practical directives, principles by which we can act on design. All designers should be aware of the fundamental laws that govern every natural system. The total energy of the universe is constant and the total entropy is constantly increasing. Entropy is bound energy; it becomes unavailable for work, or not useful to the system. It is the waters of a mountain forest that has reached the sea, the heat, noise and exhaust smoke that an automobile emits while travelling, and the energy of food used to keep an animal warm, alive and mobile. In a sense, it is also disordered or opposing energy of contesting forces. All energy entering an organism, population or ecosystem can be accounted for as energy which is stored or leaves. Energy can be transferred from one form to another, but it cannot disappear or be destroyed or created. This is a restatement of the First Law of Thermodynamics. Caloric book-keeping, energy budgets or energy audits are what measure the efficiency of a designed system. In today’s society, gardens and farms, much non-harmonic energy is degraded to waste. No energy conversion is ever completely efficient. This is the second Law of Thermodynamics. No matter how good a design is, and how complex the net we set up to catch energies before they are bound, or to slow the increase in entropy, when it comes to the universal equation, we must lose. The only question really is “how much need we lose of incoming or released energy?” and how much can we usefully store? Nothing in nature grows forever. Continuation of life depends on the maintenance of the global bio-geochemical cycles of essential elements, in particular, C, O, N, S and P.
The probability of extinction of populations of a species is greatest when the density is very high or very low. The chance that a species has to survive and reproduce is dependant primarily upon one or two key factors in the complex web of relationships of the organism to its environment. Our ability to change the face of the of the Earth increase at a faster rate than our ability to foresee the consequences of change. Living organisms are not only means, but ends. In addition to their instrumental value to humans and other living organisms, they have an intrinsic worth. Although these laws are basic, inescapable and immutable, what we as designers have to deal with are the here and now of survival on Earth. We must study whether the resources and energy consumed derive from renewable or non-renewable resources and how non-renewable resources can best be used to conserve and generate energy in living (renewable) systems. Fortunately for us, the very long-term energy derived from the Sun is available on Earth and can be used to renew resources if life systems are carefully constructed and preserved. The systems we construct should last as long as possible and take least possible energy to maintain. These systems fuelled by the Sun, should produce not only for their own needs, but also the needs of the people creating and maintaining them. A system is sustainable if it produces more energy than it consumes, at least enough in surplus to maintain and replace itself over its lifetime. A well design system achieves this, and a large surplus of production over and above this basic requirement of sustainability. We can use energy to construct these systems, providing that in their lifetime, they store or conserve more energy than we use to construct and maintain them. Are all categories of resources and these are constant universal principles. These are the basic resources affecting plant and animal populations. Resources are things thought of as of use to us, and enable us to utilize energy more efficiently. A resource is anything available to an organism, population, or ecosystem which up to an optimum level allows an increasing rate of energy exchange. However we need to look at life systems as a whole in order to see that there are several categories of resources and the use of some decrease the availability of others, over-use of parts of the general resource base by a species or individual decreases the diversity and or vitality of the whole system. All these actions, to some extent, are affected by wise or unwise management. All, except time and diversity, have an optimum amount which can be stacked into a system beyond which there is either no increase in yield, or a decrease in yield. However the number of possible life niches in a designed system has no fixed value, there is no limit to richness.